#20? I thought I’d be finished by now. But I’m crawling closer. Up at 5:30, shower, Starbucks in the lobby, back in the room writing, suspecting I won’t get very far because I’m heading over to The Nevada Reading Week Conference for the day. Spent the time in between sessions texting and watching CNN. 8 hours later they were taken back to the hotel. Safe! Yahoo! Now back to the conference. First task: Help Marie set up the first of her two sessions. 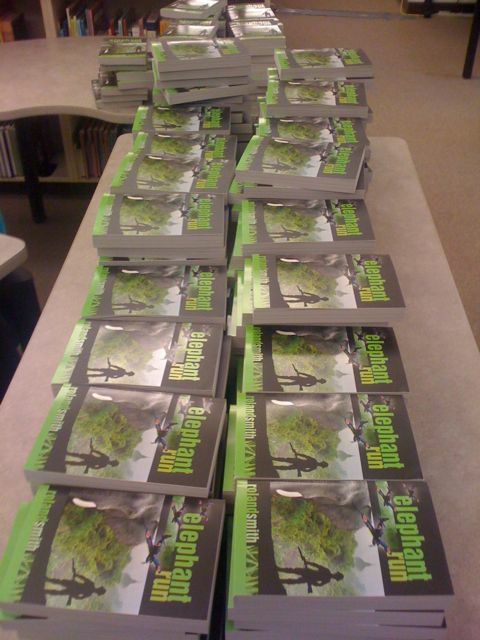 Second task: sign 250 copies of “Elelphant Run” which they are giving away (I told you this was a good conference) in the library with our old friend librarian, Barbara Talbot. Third Task: Q&A. I’m doing two of these sessions. I love Q&A sessions after giving a keynote the night before. It helps clarify what I was trying to say and allows me to go into the detail I couldn’t during the keynote. And Q&As are never the same because the group drives the session. I did manage to get a little bit in on I,Q2 today in between. 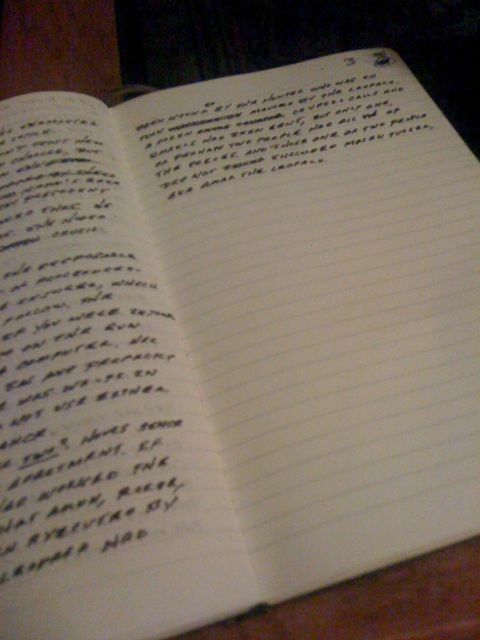 At some point in this journal I’ll leave a long post on my “Writing in Between” therory. Thanks for inviting us to “The Nevada Reading Week Conference.” The best part? Getting to see and visit with all the wonderful friends we have down here. I can’t thank you enough for all the things you’ve done for us over the years. I wouldn’t be me if it weren’t for you. 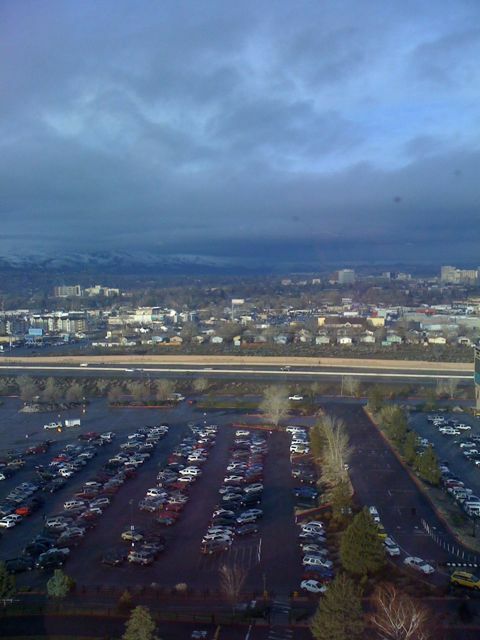 View from the 14th floor of Grand Sierra Resort and Casino with a storm brewing. Thanks to you for making this conference a success. More than one participant told me you made the conference worth it. You continue to be a hit at North Valleys High School! Thank you Barbara…and everyone else. Marie and I had a blast!